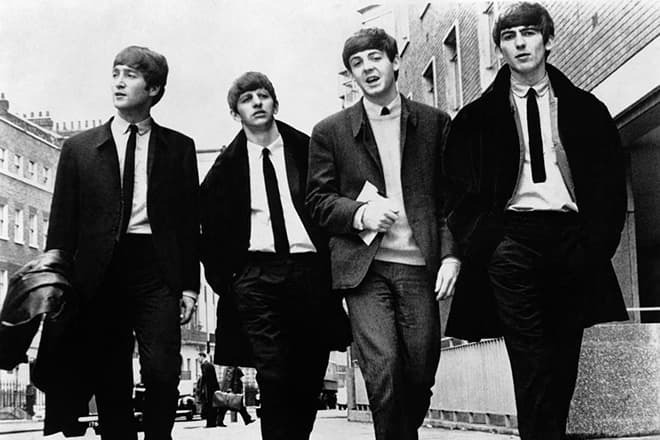 Each member of The Beatles is a legend, everyone contributed to the success of the band. They say that kind and wise Ringo Starr was the soul and heart of the Fab Four. The excellent drummer, songwriter, and singer made a brilliant solo career and he still is ready to please fans with new creative ideas. 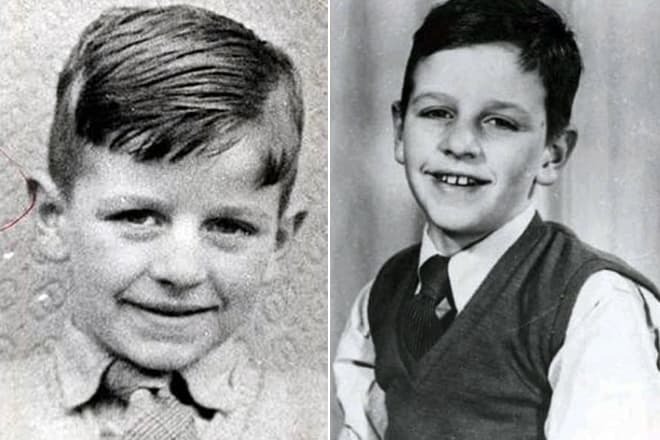 The musician was born in a poor district of Liverpool in the family of confectioner Richard Starkey. They named the child after his father according to the working traditions of those years. The talented drummer changed the name a little bit at the dawn of his successful career. The nickname is a derivative of the words ring and star. The fact is that Ringo wore a lot of rings, and he appreciated highly his drumming as if it was star playing. When the son was three years old, his father left the family. Later the mother married again. The boy was a frail child as over the years he was seriously ill. After graduation from the primary school, Richard went to the hospital with peritonitis, where he stayed for a year. A little later, he had to miss two years of studying because of pleurisy. As a result, the musician has not a secondary education. At age 15, the teenager started earning a living. He took up any job. He worked as a courier, an assistant, a barman on a railway ferry. The young man was fond of American music and once decided to become a drummer. His stepfather presented him with the first drum set and the young man promised to become a good musician. At the beginning of the creative career, Ringo Starr was interested in skiffle genre. Different musical bands cooperated with the gifted drummer with pleasure. In the late 1950's, fate brought a young man with the band Rory Storm and the Hurricanes, whose music was popular throughout Liverpool. The band was known as the main rival of The Beatles. The musician was accepted into the Beatles in mid-August 1962. When Ringo Starr joined the band, it turned into a quartet, which also included Paul McCartney, John Lennon, and George Harrison. The name of the drummer gained fame quickly. Ringo played the drum in almost all the songs. The artist performed also as a singer. He sang in the choral singing of some compositions. The musician also sang lead vocals on the McCartney composition "Yellow Submarine," written in 1966. In an interview, Ringo recalled that he especially liked the work on two compositions, which became iconic. This is "Hey Jude," nominated for the Grammy Award for Best Song of 1968, and "Here Comes the Sun," which first confused the drummer with uneven rhymes similar to Indian music. By 1968 there was a tension in The Beatles. Once there was a conflict between Ringo and Paul McCartney, who called the drummer primitive. The musician was offended and left the band for a while. Starr began his solo career, running a massive advertising campaign. Ringo's first album was released in 1970. A compilation of covers of pop songs called Sentimental Journey was not appreciated by critics, who called the work unsuccessful. But admirers received the following albums Beaucoup of Blues (1971) and Ringo (1973) with great pleasure. The latter has such famous songs as "It Do not Come Easy," "Photograph," "You're Sixteen." Ringo Starr's song "It Do Not Come Easy"
According to music lovers, Ringo Starr’s activity in the 1970's was not very brilliant, although the musician released new records almost every year. Only a few songs became popular. They are the singles "Only You" and "The No No Song." He collaborated with other musicians. He teamed up with The Eagles, recorded an album with George Harrison, played at the Concert for Bangladesh, where he met world stars Bob Dylan, Billy Preston, Leon Russell. The beginning of the 1980’s was not successful. Ringo was going to release the record "Old Wave," but he failed to do so in the homeland because American and English companies refused him. At that time, there were rumors that Starr had problems with alcohol. The speculation turned out to be true. The musician got rid of addiction by the end of the decade and started working with renewed vigor. Ringo created the All Starr Band, whose participants were constantly changing. Famous singers and composers Nils Lofgren, Billy Preston, Joe Walsh, Clarence Clemons and others played in the band. Musicians of the Starr Band went on a tour around Japan and the USA, where they were warmly welcomed by fans. In 1998, the band performed with concerts in Russia. Moscow and St. Petersburg residents saw one of the Beatles in their homeland for the first time. 13 years later, Ringo made the Russians happy again. In 1992, after almost a ten-year break, Ringo recorded the new album Time Takes Time. The authors were third-party songwriters because Starr wrote only three songs, and he was a co-writer of the single "Runaways." In the mid-1990’s fans of The Beatles rejoiced because Starr, Harrison, and McCartney decided to create the joint album Now And Then. The album included Lennon's song “Free As A Bird,” which he recorded 20 years ago. In the new millennium, the musician continued to please fans with new songs and albums. Critics called the new album Liverpool-8 "Impressive return." A little later, the singer and musician’s singles "Y Not" and "Ringo 2012" were released. In the spring of 2015, Ringo along with members of the All Starr Band released the album Postcards From Paradise, which started with a song based on the events of his life before the Beatles. Ringo became an excellent actor. He managed to star in a number of films. Even before leaving the Beatles, the young man was recognized as the best actor in the Fab Four. Starr's debut happened in 1964. 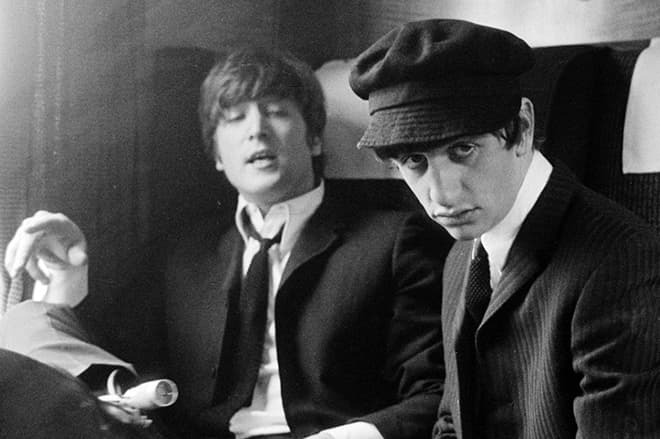 He starred together with his colleagues from The Beatles in the film A Hard Day's Night, and then in the comedy Help!. The variety of his genres is impressive. These are documentaries, dramas, and even horrors. 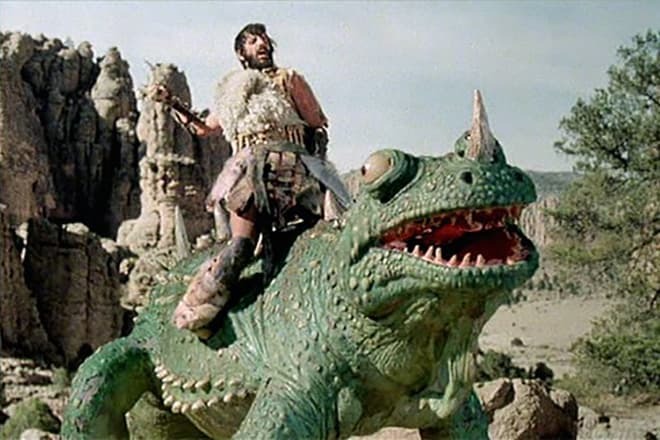 Starr played Merlin in the horror film Son of Dracula, the Pope of Rome in the fantastic film Lisztomania, a prehistoric man in the comedy Caveman. In addition, the musician worked as a producer and cameraman. The example is the movie Magical Mystery Tour. But Starr's filmography includes mainly documentary films about the creative development of The Beatles. In 1971, the Fab Four won the Oscar for the documentary film Let It Be. 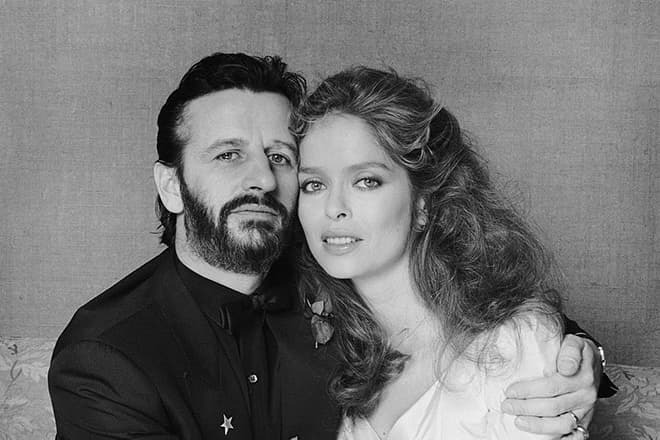 Ringo Starr has been married twice. The first marriage lasted for 10 years. The couple had three children. The drummer married hairdresser Maureen Cox. 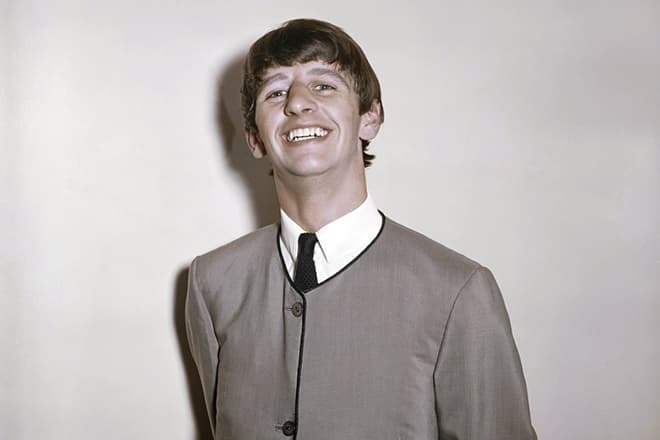 The 15-year-old girl fell in love with a pretty, tallish (Ringo’s height is 173 cm and weight is 70 kg) musician at one of the concerts of the Beatles and even got an autograph. However, the guy did not pay attention to the fan. Maureen continued to regularly attend concerts until Starr noticed her. The couple got married in 1965, but the marriage could not stand the difficulties in the life of Ringo after the break-up of the Fab Four. So, they divorced. Cox died at age 48 of leukemia. The musician dedicated the song "Little Willow" to his ex-wife. After the divorce, Starr could not find personal happiness for a long time. He dated models and singers. While filming in the movie Caveman (1980), the man met the partner on the set Barbara Bach, known for the role of James Bond’s girlfriend in the movie The Spy Who Loved Me. There was true passion between them and a year later the young people got married. In the 1980's, directors stopped cooperating with Ringo and Barbara. The couple became a victim of stereotyping as the woman was associated with Bond’s girlfriend, and the musician seemed one of the Beatles. 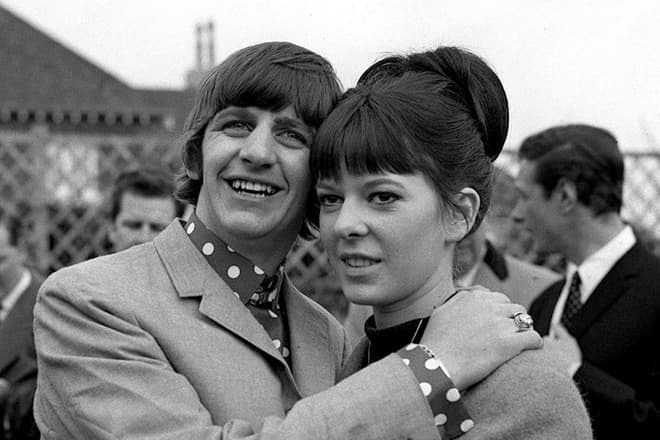 Ringo and Barbara began to abuse alcohol because of creative failures, then addicted to cocaine, and ended in the Addiction and Substance Abuse Centre. Now Ringo Starr leads a healthy lifestyle. He takes exercises at the gym, plays golf. One of his hobbies is drawing. Starr travels around the world with his All Starr Band, records new songs and albums. In 2017, the 19th album Give More Love was released. 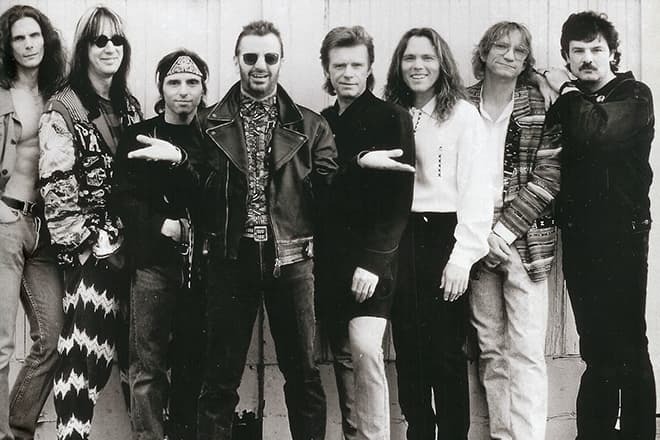 Joe Walsh, Dave Stewart, Gary Nicholson and Paul McCartney, who played the bass and sang the backing vocals for a number of songs, participated in the recording of the album as guest stars. Starr won a lot of awards for his outstanding contribution to music. In 1965, Queen Elizabeth II bestowed the musician the Order of the British Empire. The drummer has also the Order of Arts and Letters, and he was inducted in the Rock and Roll Hall of Fame in America. In March 2018, Ringo Starr was knighted in an investiture ceremony at Buckingham Palace by Prince William.